Bienvenue en France…. 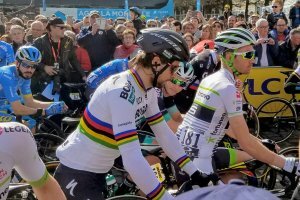 madame, monsieur, ici le spectacle Paris Roubaix! Cycle France, get the chance to ride and watch this most heroic and hardest race in the world Paris Roubaix. 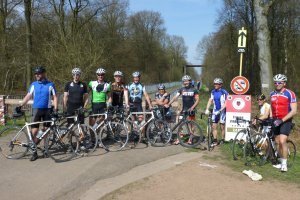 This fantastic cycle tour is specially designed for those who are interested to explore the mythical and dusty cobblestone tracks in Northern France. 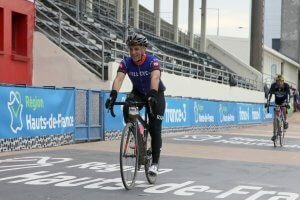 Paris Roubaix is a must do experience for a those cycling fanatics who love to cycle in the North of France. 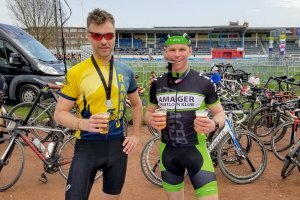 Cycle Paris Roubaix 2020 and get an unforgettable life time experience! Paris Roubaix famous cobblestone sections on the quiet French countryside roads like Carrefour de l`Arbe and Trouée d`Arenberg. 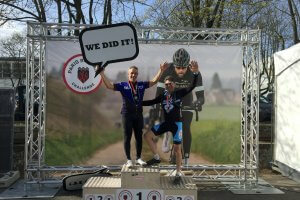 Paris Roubaix, discover the best of France with our Paris Roubaix cycle tour. 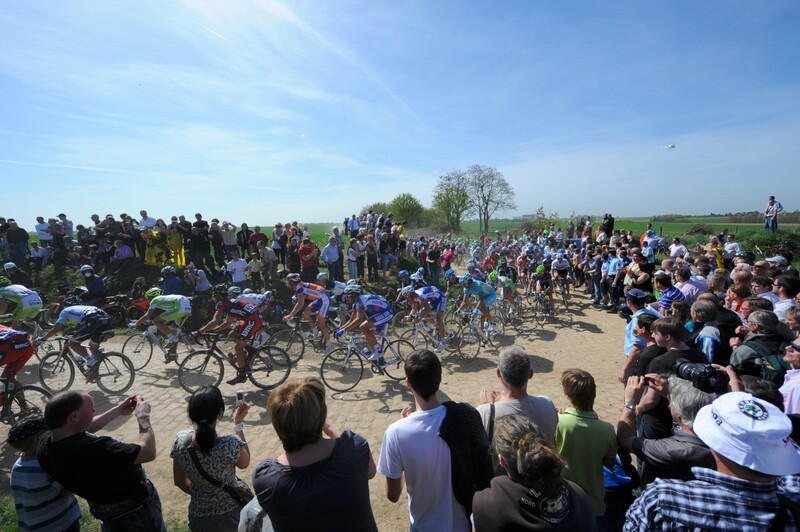 The Paris Roubaix UCI World Tour Classic is often called the “hell of the north” or “queen of the classics”. Paris Roubaix (one of the 5 Monuments) is famous for its cobblestones and classified as a cobble classic. The winner (mostly covered in dust and mud) receives a cobble stone as a trophy. 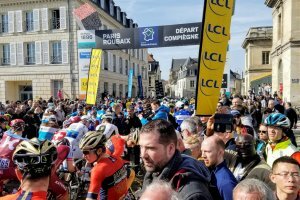 Paris Roubaix 2020 includes well known cobblestone sections like Trouée d`Arenberg, Le Carrefour de L`Arbe and Mons-en-Pevele. 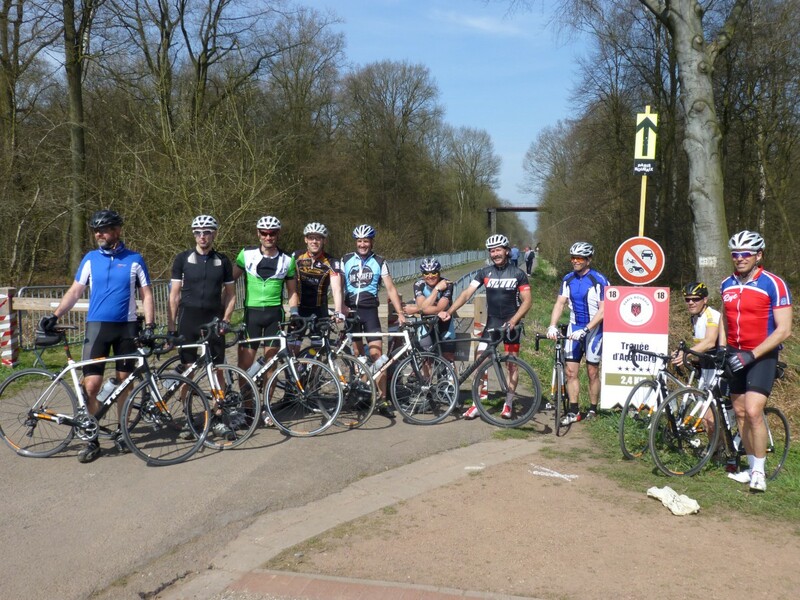 The best way to find out how it feels to ride Paris Roubaix is to hop on your bicycle and explore it yourself! You have the option to book 3 nights at the hotels in Roubaix. If you decide to come and join us by flying to Brussels airport, there will be arrival transfers from Brussels airport on Friday the 3rd of April at 10.00, 15.00 and 21.00 from BRU airport (Brussels International, not Charleroi) to the 2 Roubaix hotels. 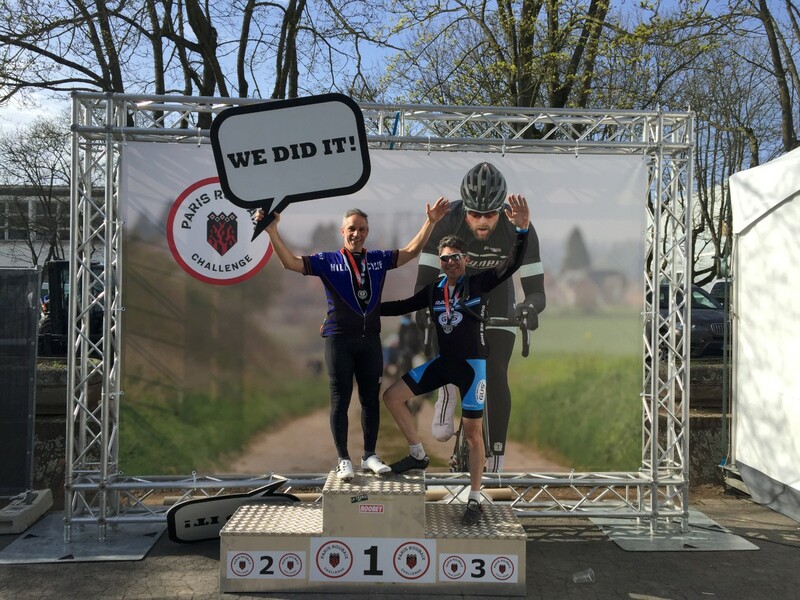 After an early breakfast, the coach with special bike trailer so your bike will be transported safely will take you to the start of the 2020 Paris Roubaix Challenge which will be in Busigny for the 172km distance. You can start from 0700 until 0900 but you will aim to get you there early so you have enough time. Busigny is about 1h30mins from Roubaix and you will get there and you can set off once you are ready. 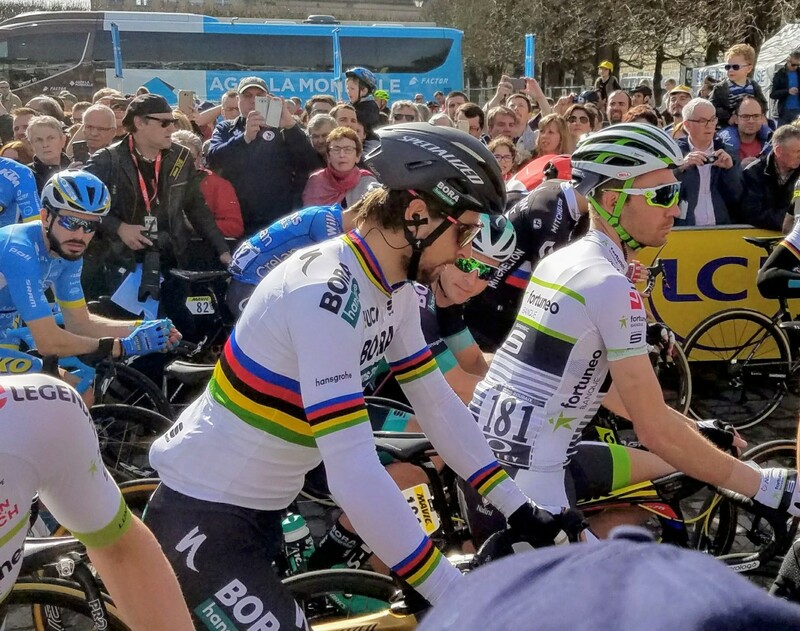 you will collect you directly from the hotel Mercure Roubaix and the hotel Ibis Roubaix so no need to go to the velodrome. 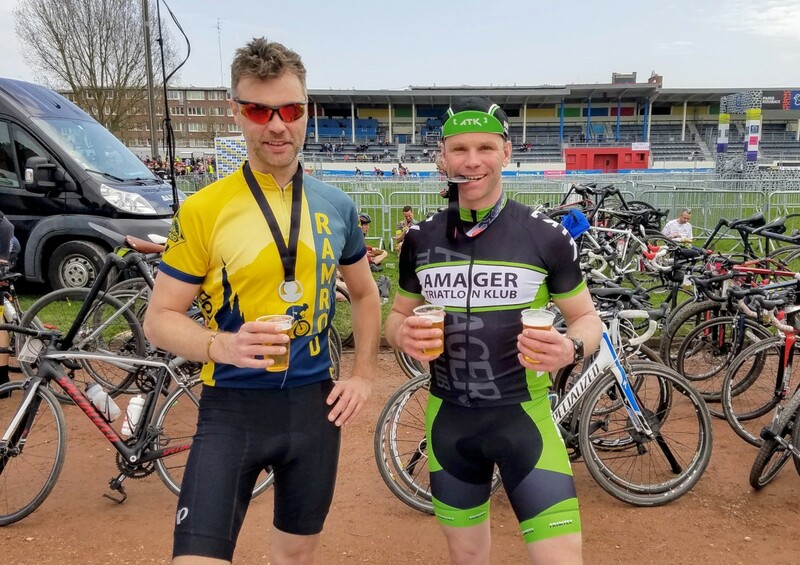 The 145km and 70km distances will start from the Roubaix Velodrome so if you are staying at the Mercure or Ibis in Roubaix, you can simply ride to the start and back from the finish. These start between 0700 and 1000 and 0700 and 1200 respectively. 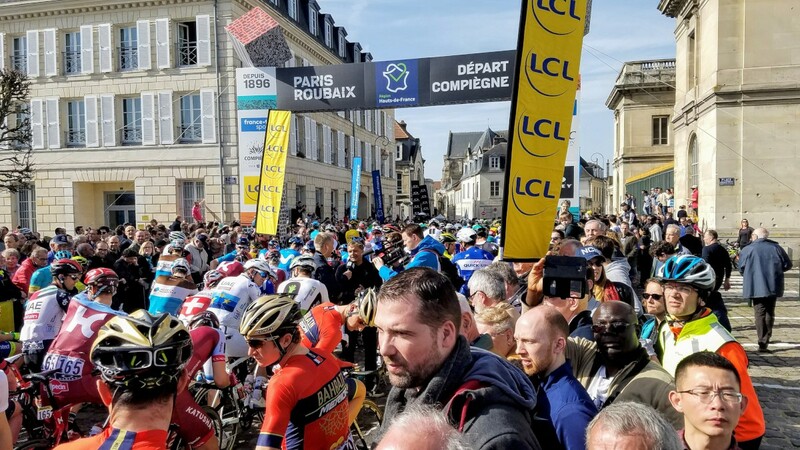 After breakfast you’ll go to the start area in Compiegne to watch the start of the 2020 Paris-Roubaix pro race, after which, you’ll guide take you to the Forest of Arenberg to view the riders come past and finally you will take you to the finish at the Velodrome at Roubaix. You will leave after breakfast and travel to Calais for the 12.30pm ferry to Dover. You’ll arrive in London at 15.00, Birmingham at 18.00, Manchester/Sheffield 20.00 and Leeds by 21.00. If you are making onward travel arrangements, please be aware that the above times are subject to change and may alter due to circumstances on the day. Departure airport transfers from Roubaix to Brussels International Airport at 05:00 and 13:00 today. Please book a flight departing after 09:00 today. Belgium’s main airport is Zaventem International Airport. There are many flights to and from Madrid/ Paris Charles de Gaulle/ Amsterdam/ Frankfurt/ Berlin/ Rome/ London Heathrow/Copenhagen/ Barcelona/ Athens/ Zurich and many more very important cities from all around the Globe. The second most important is Charleroi International Airport. Ryanair has a lot off flights to and from Charleroi. The Airport’s train station is located below Zaventem International Airport. There are 4 to 5 trains an hour to/from Brussels North, Brussels Central and the main station Brussels Midi. From here all trains connect you to several destinations in Belgium. International Trains will leave to and from Brussels Midi Railway station. The Thalys (fast train between Paris and Amsterdam) has frequent fares between Paris Gare du Nord - Lille - Brussels Midi- Antwerp- Rotterdam - Amsterdam at least every half an hour. The Eurostar (train which connects Great Britian to Continental Europe) from/ to London has upto 9 fares per day. Gent is only a 30 minute ride from Brussels Zaventem Airport. Gent’s main railway station is Sint-Pieters.